This is the kind of voicework in which I delight. Introductory video presentation for the Phil and Penny Knight Campus for Accelerating Scientific Impact at the University of Oregon, in my adopted hometown of Eugene. 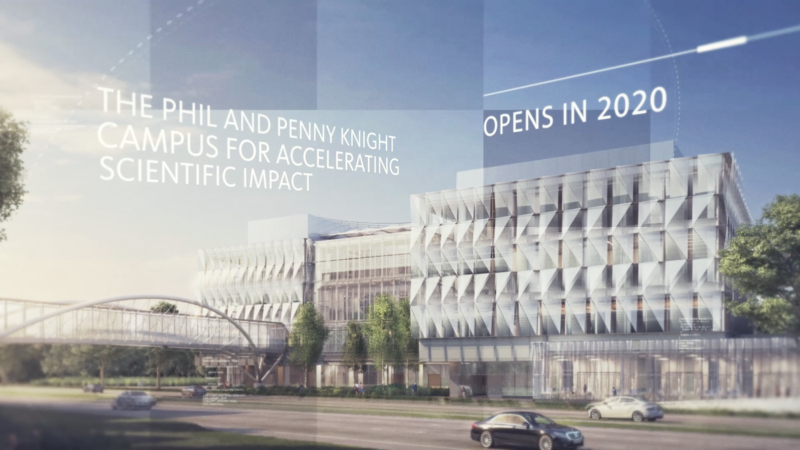 The University of Oregon’s Phil and Penny Knight Campus for Accelerating Scientific Impact is an ambitious $1 billion initiative to fast-track scientific discoveries into innovations that improve quality of life for people in Oregon, the nation, and the world. The Knight Campus will work to reshape the state’s public higher education landscape by training new generations of scientists, engaging in new interdisciplinary research, forging tighter ties with industry and entrepreneurs, and creating new educational opportunities for graduate and undergraduate students.